Founded on a love of dogs, we’re an independent, family-run business in the beautiful North of England. Like you, our dogs are a huge part of the family and we want the very best for them, which is why we created Canis & Co.
Why Canis & Co. you may ask? Canis is the Latin word for ‘dog’. We didn’t want to leave any of our other friends out, so we added the ‘& Co.’ to make everyone feel welcome. As loving pet parents, you want to ensure that you’re feeding the best for your best friend, but with so many dog foods out there, how can you be sure? The main diets you’ll probably be familiar with, are dry dog food and Raw. Most dried dog food is made using a method called extrusion. This method cooks the ingredients at high temperatures, which can degrade the vitamins and minerals. Once the food is cooked, it’s sprayed with fats and oils that were lost during the cooking process. Raw on the other hand, is not always appealing for pet parents as it can be inconvenient, quite time consuming and expensive too. 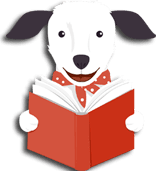 However, you may have noticed over the last couple of years that Cold Pressed dog food is becoming increasingly popular amongst pet parents. Could this could be the best diet for your best friend? Well, we believe that Cold Pressed is the best of both worlds! Recognising the quality and convenience of cold pressed, we took the decision to open the very first facility to make Cold Pressed food right here in the UK. Our carefully selected ingredients are dried and ground, then mixed together before they are gently pressed at low temperatures for a few seconds.  Our authentic cold pressing method allows us to create small batches of nutritious, tasty golden nuggets packed with goodness for your best friend, without the need of high temperatures or time-consuming preparation. This makes Canis nutritious, delicious and super convenient. Canis is a complete dry Cold Pressed dog food, however you can also mix the nuggets with water to form a delicious porridge to increase its moisture content, making it great for older dogs, dogs with dental issues or even as a tasty warming treat. To further cater to all breeds and all ages, together with our nutritionist, we’ve crafted some royal recipes for all our Canis Kings and Queens. From Adult to Puppy; Small bites to Regular bites, there’s sure to be a recipe FURbulous for you! Supporting British farmers whose work helps to keep the British countryside the way we want it to look. Supporting the local economy; everyone from the farmer right through to the retailers selling our food. Lowering the carbon footprint; British food travels less, so has a lower carbon footprint than most imported foods. Choosing to be eco-friendly; Authentic Cold Pressed food requires less energy to produce, deliveries are carbon neutral and our packaging is recyclable. Sourcing quality ingredients at the best prices, from reputable sources. No Nonsense; there are no added synthetic colourings, flavourings or preservatives in our food. 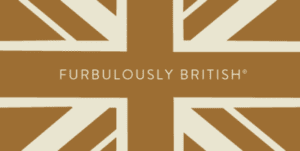 Creating British jobs within the manufacturing, design, transport and marketing sectors. Supporting an authentic British made dog food. Want to know more? Don’t forget, you can check out our FAQ page here for more info or visit our feeding guide page. So, will today be the day you do something for the first time too? Why not grab a FREE Canis sample: https://www.canisandco.com/product/sample/ and watch them come back for more!